Single Screen Films, 27 min, digital, colour, 2017 alongside Site Specific Audio Visual Installations built from found objects. 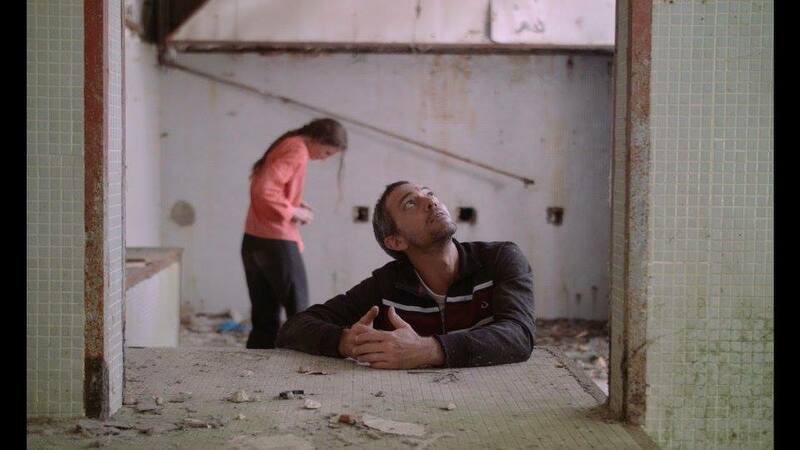 EX_SITU is an ongoing collaborative multimedia art project which invites rural populations to (re)discover the abandoned architectural places of their own heritage, through an artistic exchange with VIDEOfeet and French based theatre company OBRA. The project aims to explore the cultural, historical and personal traces left by abandoned or forgotten architecture on small communities and asks what impact this can have on shaping collective memory and imagined futures. Through a combination of archival research, oral history field recordings, theatre practices and film EX_SITU investigates the intersection between place, identity and memory and aims to create a specifically curated audiovisual exhibition built from the exchange between the community and the artists. The project involves collaborating with each community it visits to produce a short single or multi screen film in response to a particular abandoned or forgotten place. At each site we invite new physical performers to work alongside the community as we respond to the architecture. Alongside this a long form film portrait is made from the collected and recorded stories of the collaborating community, built in many ways like the city symphonies of the 1920’s to act as a visual and aural document of a specific time in a small communities personal history. We are committed to each community having a legacy from the project, so part of this material, specifically the recorded oral histories, and film portrait will be offered the community for permanent exhibition as a historical document and archive of a communities collective memories and culture. The first instalment of EX_SITU (EX_SITU – Gers) focused on three communities in the Mid-Pyrenees region of France, completing in December 2017. The exhibition from EX_SITU – Gers consists of three short single screen films; ACABAM, VIATICUM and L’HISTOIRE PEUT MOURIR SUR UN BALCON A FLEURS alongside three audiovisual installations. The work is currently exhibiting across the region. Should you be interested in exhibiting this work please contact enquiries@videofeet.com.